G9, which was launched a couple of moths back was appreciated by the customers. The company is assuming the same for this also.the company has also launched Maimang 5 just a few days back. I know you are waiting for the specifications of the gadget. Not wasting the time, let’s go the specifications. Over the specs, G9 Plus features a 5.5 inch(72.6% screen to body ratio) with a multi-touch gesture. The company is offering a display of 1080 x 1920 pixels with a great pixel density of 401 ppi. The multi-touch of the G9 Plus is powered by Emotion UI 4.1. 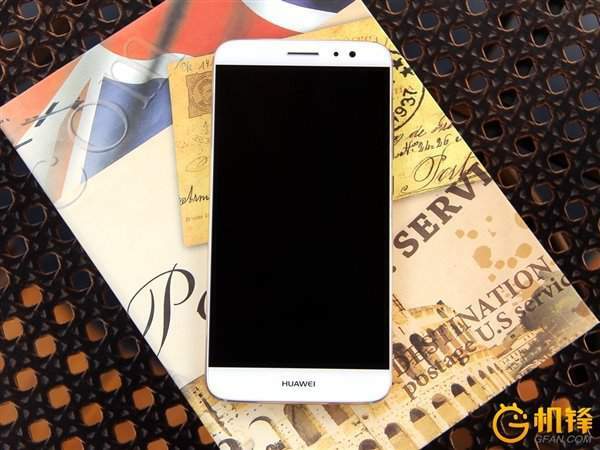 G9 Plus is powered by Qualcomm MSM8953 Snapdragon 625 chipset with Octa-core 2.0 GHz Cortex A53 CPU. The CPU is accompanied by Adreno 506 GPU. The device runs on Android OS v6.0 Marshmallow. The company is offering the product in two memory variants. The first one comes with 3 GB RAM and 32 GB internal memory. The other variant comes with 4 GB RAM and 64 GB internal memory variant. Over the photography, the device features a 16 megapixels rear camera with phase detection auto focus, OIS, dual LED flash. The secondary camera has a lens of 8 megapixels. The video recording comes with 2160p@30fps. The camera features a 1/2.8″ sensor size, 1.12 micro-m pixel size, Geo-tagging, touch focus, face detection, panorama, and HDR. The device is enriched with common facilities like WiFi 802.11, Bluetooth v4.1, GPS, Type-C reversible connector and Radio FM. The reversible connector means that it can be used as a power bank. The smartphone is powered by a 3,340 mAh Li-Po nonremovable battery. Along with common sensors like compass, accelerometer and proximity sensor, the device is also equipped with a fingerprint sensor. The dimensions of the device are 151.8 x 75.7 x 7.3 mm (5.98 x 2.98 x 0.29 in) and weighs about 160 grams (around 5.64 oz). The device supports GSM, HSPA network technologies along with LTE network technology. It is a dual SIM smartphone. The company is offering the device in three different colors. The colors are Black, White, and Gold. The device is launched in China at a price of CNY 2,399 (around Rs. 24,200) for the device with 3GB/ 32 GB variant and for the 4 GB/ 64 GB variant, the price is expected to be around Rs. 29,000. Hope you like the info provided and for any query, leave a comment and do subscribe to the website. Stay tuned.